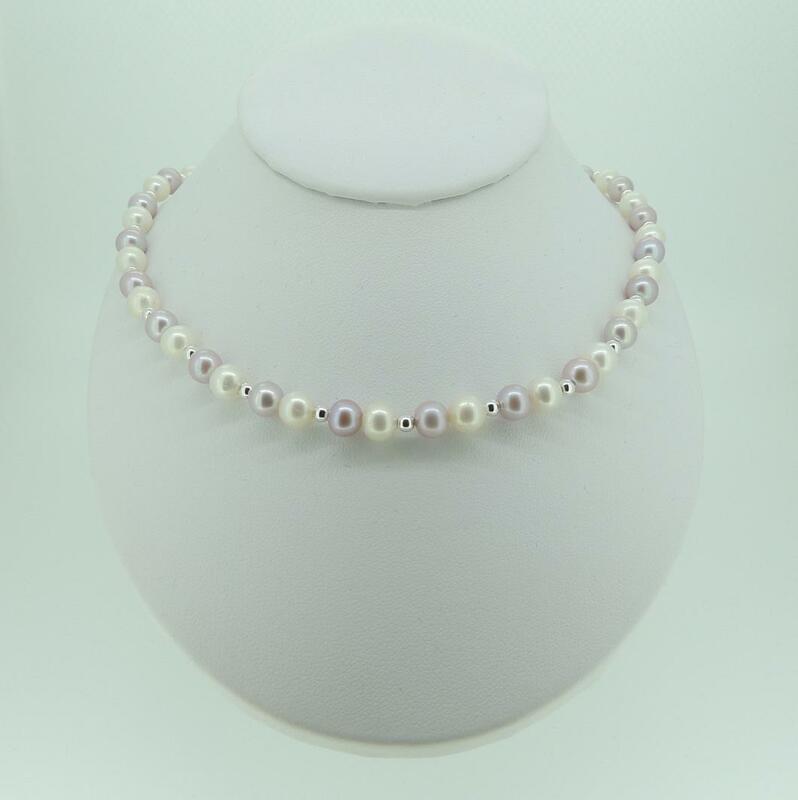 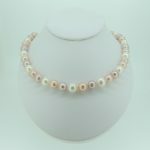 Cultured freshwater 6-6.5mm white and pink pearl and silver bead necklace strung on silk without knots between each pearl with trigger clasp and 2,5mm round beads. 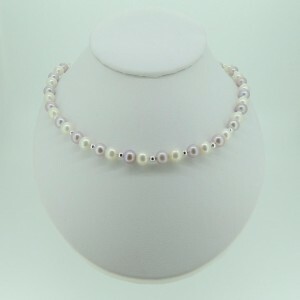 Clasp and beads are availble in 9ct yellow gold or sliver. 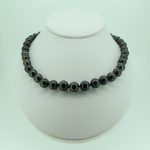 Available in various lengths and with a matching bracelet.